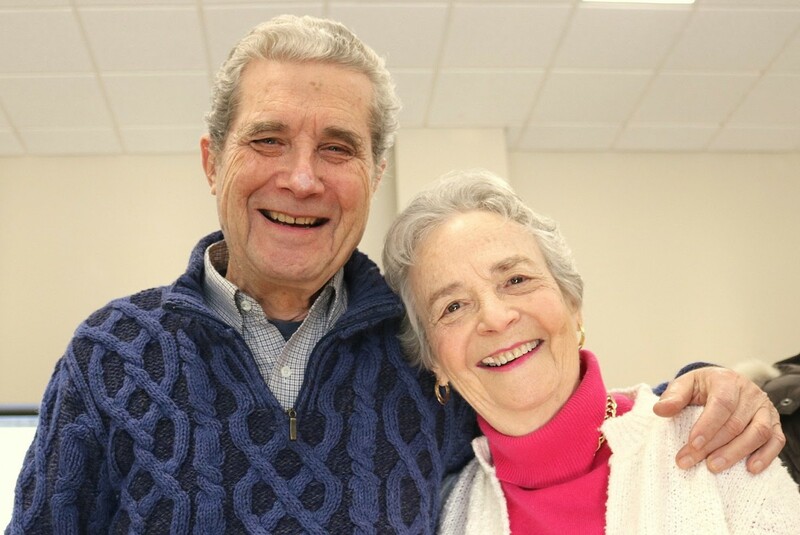 Village of East Hills > Headline News > Senior Activities Committee > Senior Activity Committee in East Hills Celebrates New Year! Senior Activity Committee in East Hills Celebrates New Year! The Village of East Hills’ Senior Activities Committee, (“SAC”) celebrated the New Year with a sold out brunch at the Village Theatre on New Year’s Day, Monday, January 1, 2018. Residents in the Village and their guests were invited to the gala brunch featuring exceptional delicacies from Kitchen Kabaret. The special afternoon was capped off with champagne. Then, a sing-along, with fine musical accompaniment brought merriment to the afternoon, and created fun-filled memories to start off the year. 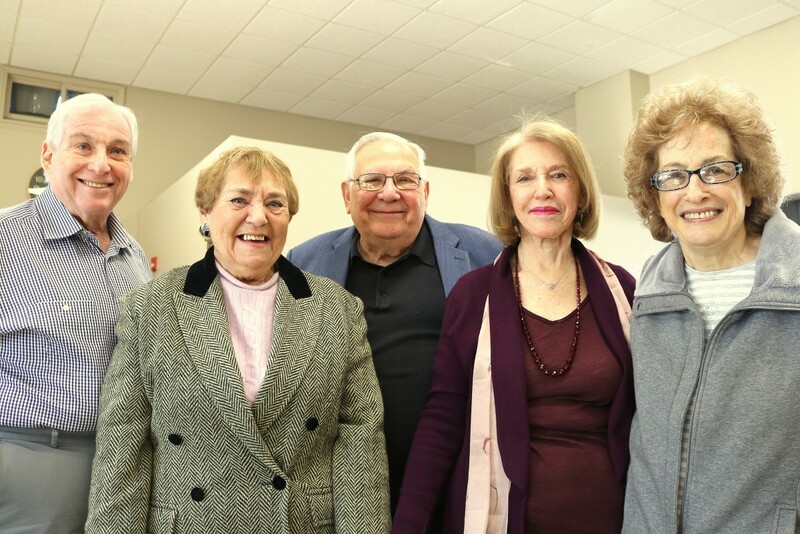 The SAC consists of Stanley Stern, Chairperson, and committee members Irving Chernofsky, Joan Perilla, Phylis Friedlin, Eileen Reed, and Barbara Klein. Committee Members Irving Chernofsky, Joan Perilla, Stanley Stern, Chairperson; Phylis Friedlin, Eileen Reed, and Barbara Klein, (not shown). 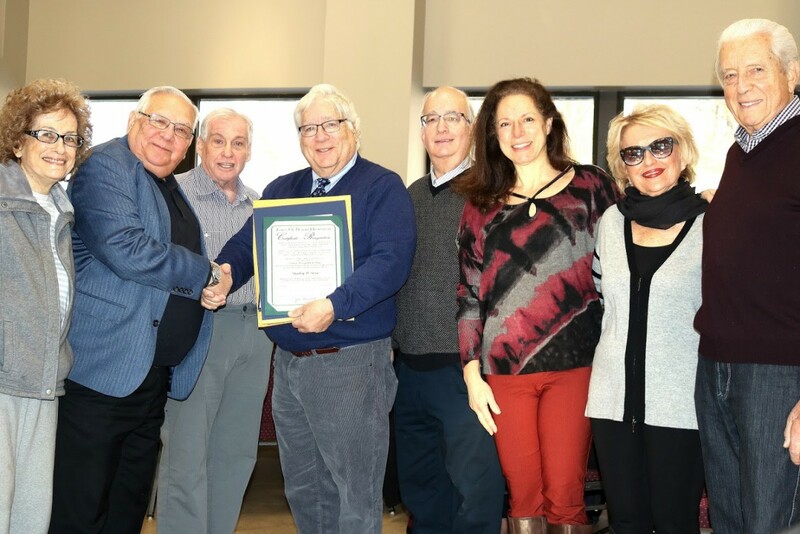 Committee Members Eileen Reed, Stanley Stern, (setback) Irving Chernofsky; Mayor Koblenz congratulating Stanley Stern on having been presented an award from the town of North Hempstead for his illustrious career, Deputy Mayor Manny Zuckerman, Board of Trustees Member Clara Pomerantz, and residents. Residents celebrate the New Year. 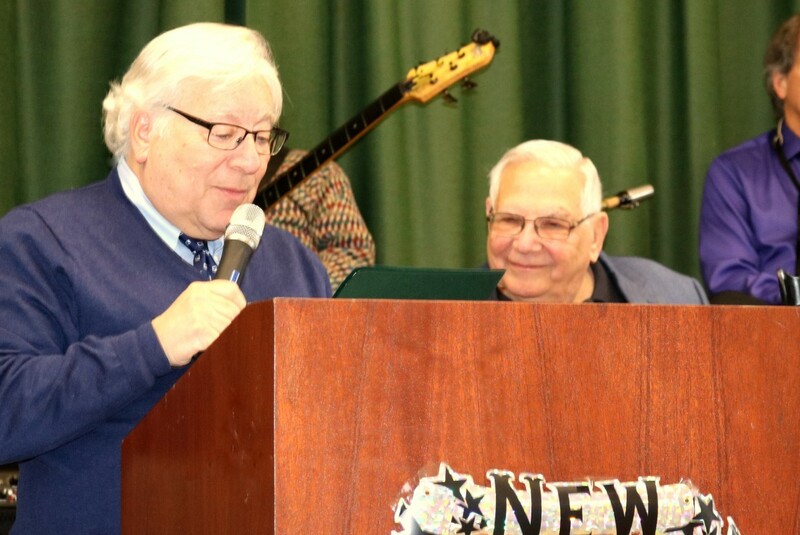 Mayor Koblenz thanks the seniors for their participation and congratulates Stanley Stern on his award from the town of North Hempstead for enriching the lives of seniors.